Nice one ... leads arrived today. Everything looks cool - I'll spend the day tomorrow re-arranging the studio and installing the new leads....thanks for delivering what you said when you said...it's a pleasure to have that happen! I feel compelled to let you know how wonderful I think your service is. Your prices are mainly very competitive, and 1-3 day delivery is normally less than 24 hours! I’ve never had a single faulty product, although I’ve had the odd thing where I’ve got it wrong, despite the comprehensive web site and pre-sales tech line. But the feather in your cap was the excellent service yesterday when at 4:25pm, despite believing the deliveries had already been picked up, your sales representative went and checked, just to make sure. With 5 minutes before the collection was due, I managed to add two items, worth £3, to my order and saved £10 additional postage. Everything was waiting for me at the office this morning when I arrived just after 9am. MAGIC! I must thank your staff for not only picking up the phone on a Saturday morning, but also being so incredibly knowledgeable, friendly and helpful. Let me tell you that is NOT the norm for other retailers I have contacted and requested assistance. Great customer experience - and although I don't buy a great deal of this type of electrical equipment, I now have Leads Direct on my favourites and you will be my first call every time. Many thanks. I've received the order the day after I placed it, I'd like to say a big thanks for being so efficient, in the past I've used Team Clockwork ... for all my cables and they take about 3 weeks to deliver and never answer the phones or reply to e-mails. In future I will always use Leads Direct. Thanks again!! Just a quick note to say THANK YOU for your help and advice and the unbelievable turnaround on the leads. Order one day and get just over 24hrs later is great but for the Highlands is nearly a miracle. Thanks again, if I need any other equipment I will definitely be back in touch. Great company and great service. We have used Leads Direct on various occasions for all sorts of weird and wonderful leads that we use in the telecoms industry. From helpful advice on the phone, to speed of order completion and delivery (even on custom made cables) I can't fault them. We will continue to use them for all our non-standard cable requirements. Technical Director, GP Telecom Ltd. Many thanks, have now received goods. For your information I would confirm that the lead did in fact fit and work with my Olympus camera and was less than 25% of the cost of a proprietary item even including post & packing. I will certainly be in touch when I require any more leads etc. d) Getting the item to me in a shade over 24 hours. The order arrived this afternoon and I have set it all up - it looks much better. I am just annoyed with myself that I left it a year before getting on with the order in the first place! Thanks again for the excellent service - I will have no doubts about recommending you to anyone who needs leads in the future! Marvellous, super service, thank you very much! Order arrived safe and well. Thanks for the excellent service. I never imagined buying leads could be fun! Excellent and expert service as usual. Many Thanks. Before placing my order I was surprised to be able to speak to a real person, in the UK, who was both friendly and helpful, and able to give me the advice I required. Brilliant result. Jack to B&O Din lead worked perfectly. Thank you for your advice and wonderful service. Thank you so much. Having spent two weeks looking for a particular cable which didn't appear to exist (! ), we were very impressed to find Leadsdirect.co.uk - not only did they have the cable, but they despatched straight away and we literally had the cables the next day! Just thought I'd drop you a quick note to say that thanks to your help and the products I bought from your company I now have my treadmill working again! So all the testimonials on your website were right! Best price by far, Delivery in a flash! and the best all round service I think I have ever had from a mail order firm. Your use of pre-used packaging materials to save the environment was also appreciated, a thing we often do when mailing items to friends and relations but I have not seen this adopted sensibly by business. Very well done! ... we received them today, exactly as required. I'm very impressed you can take a request for a custom cable and make ten of them within a few days and ship them out, and charge a very reasonable price. I recommend you to a lot of people - I've told a lot of colleagues and contacts at other companies how good you are. thanks! Cable just arrived - outstanding service - thankyou. Just a quick note to say thank you for your help and assistance with the delivery problem recently. I was very impressed with the polite and professional manner in which the issue was dealt with. The leads work perfectly thank you so much. Great quality and speedy delivery. I shall spread the word! Leads came back today and they're great - will definitely use you again and recommend you to my friends - very impressive service and quality - you lot are the best - what you do is pretty unique. I must say that I'm impressed!!! The last time I was in the local music store, there was a never ending stream of moans from customers about the inability of the store to supply leads!, and the time people had to wait to get any kind of service. I'll be putting "the word" around. Hi, yesterday I did not know what a NEMA5-15RX or a IP44-110/16p were but with the excellent help of Olly and Lou of Leads Direct I now own these items. Fantastic help and service. Leads just arrived - very nice - tried them and they work a treat. I think you should have a section on your web site saying that you can make leads for early Quad stuff. There is also another company called I think "naim" they both use strange DIN / Jones types leads, and to buy from that company can cost big time. I'd just like to thank you for the DC lead which you made for me. I received it today, and it does the job exactly as envisaged - so I'm a happy customer. I know where to come for leads from now on ! ... Thank you once again for the very good service I have received from you today - I wonder if it's too much to hope that I will encounter such good service for the rest of the day - Ah well I can dream!!!! The leads arrived this a.m. Great quality and working perfectly. I'm impressed with everything, including your special offers. Be assured that the word will be put around. Thank you. I just wanted to say how professional and helpful your staff are even though I did not end up making a purchase as a new lead would not solve my problem. Thank you - keep up the excellent service! I received my order this morning. I would like to say how impressed I am with the service I received from Leads Direct. I found the ordering procedure very easy and user friendly and I'm extremely pleased with the speed of the delivery. I would also like to say I enjoyed listening to your choice of music while a very helpful assistant dealt with an initial query I had re: placing an order. 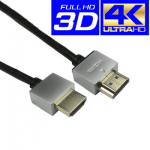 Have a look at this site - I used it to buy some gold plated scart leads. Pass on to anyone who you feel may be interested. The customer service is the best I have come across for an website. Well made, pro leads - friendly guy's to do business with - I'm over the moon. I've worked with many people in and around the music biz, if more folk were like you it would be a far better industry !! just a quick message to say thankyou very much for the 2x IEC 17 mains cables, they arrived today and just what I needed, fantastic service and next day delivery, I won't hesitate to order from yourselves again in the future. In this day and age such excellent service is sadly not that common and in this case because we had originally ordered the leads incorrectly on the advice of our telecoms engineer your prompt action was all the more appreciated. To have done this at no additional cost is all the more remarkable and I wanted to express my appreciation. I shall certainly recommend your services where appropriate. Thank you for your help. Wow! From placing the order, to having the cable in my hand in less than 20 hours! That's pretty darn impressive - great service! Just arrived, and it works brilliant!! Thanks so much :) brilliant customer service. You`ve done it to me again!!! !, what are you guys taking, you guys are truly brilliant, I placed an order over the phone for a certain type of velcro cable ties on Wednesday afternoon, as this was a special order, I thought it was going to take a week at least, less than 2 days after I placed my order, my order has been delivered to my door, I was totally gobsmacked.Thank you very much, your service and products are unbeatable.....hands down, others don't even come close. Nick gave me a quote for some custom cables and power leads yesterday morning. Phoned to order at lunchtime and by 11am this morning they'd been delivered. Great service, excellent price and really good to that see you recycle old packaging. Really impressed! I would like to thank the gentleman in your sales office who dealt with our order 2 days ago. We were desperate for a next day delivery and the leads were with us by 1pm yesterday lunchtime. Thank you for your efforts - i am sure we would buy from you again. Just a quick email to say thank you for such excellent service! The lead arrived first thing this morning and is exactly what I needed. Superb service at a very reasonable price – I may well be back for more! "Excellent! Quick response to original email query and follow-up right through ordering process (also very quick) and final details of shipping/tracking information. Secure packing was provided and total transit time by International Post was very quick; in fact the goods arrived in Australia within 7 days including a weekend which is quicker than the local Postal Service can deliver between the major Australian States." Fantastic service - the order arrived less than 24 hours after I phoned it in, and even before your email! Everything present and correct, and at a lower price than PC World would charge for just one lead! Great customer service fantastic communication nothings to much trouble. A couple of email regarding my order one of the leads out of stock alternatives offered accepted one of the alternate that was more expensive this was supplied at no extra charge. Leads arrived next day. Will definitely use again and pass the word. Just a note to say thank you for such good advice and swift delivery. The leads for my speakers worked, once again thank you. I shall not hesitate to recommend your company or to use you again. Thanks very much, for the advice and speedy response to my request last week, all arrived the following day, much appreciated. Saturday and Sunday: Open by appointment only.